Aesthetic woodgrain appeal, adds beauty. Versatile in application. Light and easy to install. Accept a variety of surface finishes and suitable for all paint coatings. Fix UCO Lattice directly onto timber frames using galvanized fibre cement nails, 2.0mm x 30mm long for softwood and 2.0mm x 25mm for hardwood. 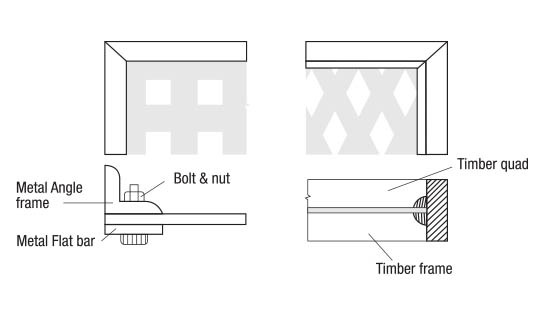 Alternatively, metal angle and flat bar frame can also be used with bolts and nuts. Framing should be done according to the type of applications. Fasten securely to an existing wall using metal angle frame or directly to timber frame, 50mm x 50mm using galvanized fibre cement nails. The length of nails should be according to the type of wood used. 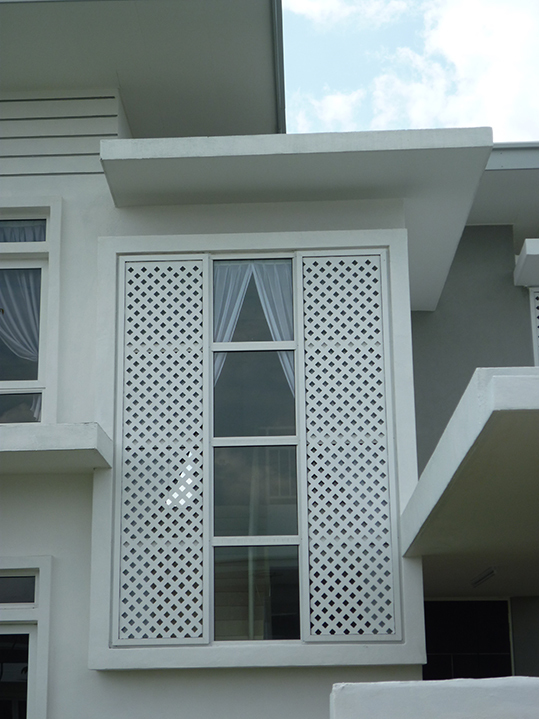 Install UCO Lattice 2400mm x 1220mm x 6mm, fixed directly onto G.I. channels vertically @ 610mm c/c. All joints to be expressed by 10mm gap according to manufacturer’s details, excluding main steel structural framing & finishes.